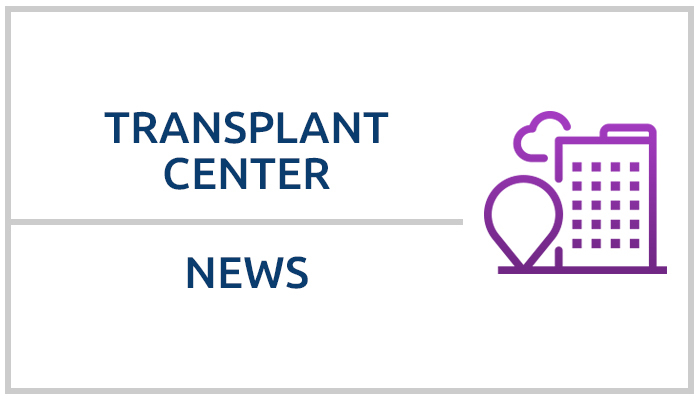 Nineteen transplant hospitals have been selected to participate in the initial pilot phase of COIIN (the Collaborative Innovation and Improvement Network), a three-year project intended to increase kidney utilization and study new methods of quality monitoring. Augusta University Medical Center, Augusta, Ga.
Brigham and Women’s Hospital, Boston, Mass. Mayo Clinic (Phoenix), Phoenix, Ariz.
Northwestern Memorial Hospital, Chicago, Ill.
NewYork-Presbyterian/Weill Cornell Medical Center, New York, N.Y.
Ochsner Foundation Hospital, New Orleans, La. Oregon Health and Science University Hospital, Portland, Ore. Rush University Medical Center, Chicago, Ill.
Scripps Green Hospital, La Jolla. Calif.
Thomas Jefferson University Hospital, Philadelphia, Pa.
University of Chicago Medical Center, Chicago, Ill.
University of Colorado Hospital/Health Science Center, Aurora, Colo.
University of Virginia Health Sciences Center, Charlottesville, Va.
University of Washington Medical Center, Seattle, Wash.
Another key aim of the COIIN project is testing potential improvements to the program performance review process. During the study, participants will be exempt from the traditional review of patient and kidney graft survival performed by the OPTN Membership and Professional Standards Committee (MPSC). They will participate in an alternative, collaborative quality improvement framework to drive improvements in organ offer and acceptance, waitlist management, and care coordination. Each pilot hospital will create and test improvement aims during successive rapid improvement cycles and can share lessons learned with other study participants on an interactive, virtual learning site. Hospitals can also monitor their improvement in key measures including outcomes, processes, relationships, and structures. Training and coaching for pilot participants will begin in October 2016, and the data collection and collaborative learning will begin in January 2017. Beginning in summer 2017, hospitals may apply for the second pilot phase of COIIN that will begin in October 2017. Selections for the second pilot phase will be made from a combined pool of new applicants and applicants not selected for the first pilot phase. New applications will not be required for those hospitals who have already submitted materials, although updated information may be necessary.